A relatively easy-to-negotiate, yet underutilized, bilateral diplomatic memorandum of understanding can empower governments to stop cultural heritage trafficking and protect transparent, legal markets. While many in the arts and education communities are passionate about the protection of antiquities from destruction and looting, most foreign ministries simply do not take the matter very seriously. Because cultural heritage preservation and protection is managed in many countries by poorly-funded and relatively low-priority ministries and police, foreign ministry officials often pay little attention to the issue, focusing instead on national security and economic policy priorities. Antiquities protection rarely makes it to the top of a foreign minister’s checklist of issues when meeting with the U.S. Secretary of State or counterparts in other major market countries. Yet, an established, but largely neglected, process exists for engaging the United States government in bilateral cooperation around the issue of cultural heritage protection. This policy note restates the process for bilateral agreements for the protection of cultural property with the United States under the 1970 UNESCO Convention on the Means of Prohibiting and Preventing the Illicit Import, Export, and Transfer of Ownership of Cultural Property, and the subsequent U.S. Convention on Cultural Property Implementation Act. It argues that by engaging the U.S. in such an agreement, partner governments can establish a pathway for expanded cooperation, consistent with the U.S. administration’s preferences and expectations for bilateral and mutually-rewarding outcomes. Furthermore, governments, the arts community, and NGOs can and should work together toward protecting both antiquities and a transparent art market that strengthens international understanding of history and cultures. In most countries, cultural heritage serves as a symbol of a nation’s complex history, values, and achievements and is a source of national pride. At the same time, it is often poorly funded. Individuals and institutions all over the world obtain cultural heritage objects for educational display or research purposes; other collectors are arts traders, buying and selling antiquities, much like other businesses. The age-old process of trading antiquities—or systematically exploiting ancient tombs and cities—has endowed not only the homes of individual collectors, but also some of the world’s great museums, universities, and cultural institutions. While in recent years the largest art dealers and institutions have made great efforts to assure the provenance of pieces they acquire, casual online browsing reveals that the trade in antiquities of questionable legality remains widespread. Because the United States is the largest destination for archaeological and ethnological objects from around the world, the discovery of recently looted and trafficked artifacts in our country not only makes Americans and our institutions accessories to crimes, but also threatens our relations with other countries. The same is true of other major market countries. During the 1960s, developing countries reported a surge of thefts of cultural property from museums and archaeological sites, with an accelerating trend of stolen property passing through art markets in Europe and the United States on to museums or private collectors. With pressure from member states in the developing world, participating countries in the 16th Session of UNESCO’s General Conference in 1970 adopted the “Convention on the Means of Prohibiting and Preventing the Illicit Import, Export, and Transfer of Ownership of Cultural Property.” The 1970 Convention signatories were unable to come to agreement on the return of previously taken antiquities, yet they established for the first time an international framework of cooperation aimed to reduce incentives for the future pillage of archaeological and ethnological material, based upon bilateral agreements. The U.S. Senate unanimously consented to ratification of the UNESCO Convention in 1972, with the provision that for the Convention to take domestic legal effect, Congress would need to enact legislation to implement it into domestic law. This process took over a decade, until in January 1983, the late Senators “Spark” Matsunaga (D-HI) and Max Baucus (D-MT), with bipartisan support, managed to quietly move the “U.S. Convention on Cultural Property Implementation Act” (PL 97-446) through to passage, incorporated as a tariff measure in an omnibus bill. Subsequent to the Act, the State Department’s Bureau of Educational and Cultural Affairs (ECA) was delegated the authority to negotiate bilateral agreements on importation of cultural property and to authorize emergency restrictions, with advice from a presidentially-appointed Cultural Property Advisory Committee. The State Department then established procedures for the adoption of bilateral cultural property agreements, legally designated memoranda of understanding (MOUs) that, unlike treaties, do not require Senate ratification. At last, a process was in place that gave foreign governments and the State Department a tool to begin curbing the illegal export of antiquities to U.S. markets. Bilateral cultural property agreements, when signed as MOUs, put the burden of proof on importers of antiquities into the United States to show U.S. customs authorities that they have valid proof of legal export from the country of origin, or that the objects were outside of the country of origin before the date of the agreement. Importantly, an MOU does not affect the legal trade in art and antiquities. The United States only restricts the import of the cultural objects specified by the requesting country, and any antiquity with a valid export permit may still enter the U.S., regardless of whether it is covered by the import restrictions or not. With agreements in place, the Department of Homeland Security Customs and Border Protection agency is authorized to enforce import restrictions. Given the massive international trade flows between the United States and much of the world, it is remarkable that U.S. customs officers have been able to identify and impound illegal antiquities passing through U.S. ports of entry. Yet, with cooperation between prosecutors, leading arts houses, institutions and academics, they have had some remarkable successes. Bilateral cultural property agreements can also have substantial impact on the incentives to pillage overseas. For example, when the United States imposed import restrictions on Cambodian antiquities, sales of unprovenanced pieces at a major New York auction house plunged by 80%. Art loans between Cambodia and the United States, however, increased, exposing countless more Americans to Khmer culture, but in a way that benefited the Royal Government of Cambodia and its citizens. Cambodian officials believed this exposure also boosted tourism. Cultural property agreements increase responsible cultural exchange and strengthen relationships between the United States and other nations. They provide access to key financial and practical assistance from the United States to protect cultural heritage, and open doors to greater collaboration with the museum, heritage, law enforcement, trade, security, and legal communities. Countries have received capacity-building training, increased opportunities for academic and professional exchange, and funds for conservation, historic preservation, museum collection care and management, and site security. Governments and NGOs interested in engaging the United States can start by reading the public documents on the State Department’s Cultural Heritage Center website. Negotiations for restrictions on antiquities trade are outlined as instructions for foreign government requests. The first step in getting the process moving takes nothing more than a diplomatic note, a brief letter from a foreign minister or a country’s ambassador in Washington to the U.S. Secretary of State. Typically, the State Department will respond with information on how negotiations proceed and a point of contact. That the application of the import restrictions would be consistent with the general interest of the international community in the interchange of cultural property among nations for scientific, cultural, and educational purposes. The process of assembling and providing relevant information to the State Department for review by the Cultural Property Advisory Committee is where this process often stalls, sometimes for years. However, Marie Royce, the current U.S. Assistant Secretary of State for Educational and Cultural Affairs, who oversees the Cultural Heritage Center, and her predecessors have expressed pride in the Center’s work and support for bilateral cooperation in cultural heritage protection. Governments encountering difficulties should engage organizations experienced with this process, who can help them move forward toward a ministerial signing ceremony. An existing yet underutilized tool to restrict the trafficking of illegal antiquities to the United States and other major market countries is available under the 1970 UNESCO Convention and relevant implementing national legislation. Currently, the United States only maintains finalized agreements with eighteen countries; any of the world’s 119 other signatories to the Convention need only send a letter to the U.S. Secretary of State to get initial discussions underway. The U.S. Department of State has oversight for the execution of these agreements, usually created as a bilateral memorandum of understanding. When in place, U.S. customs officials require that importers of archaeological and ethnological materials show evidence that their acquisition was legal, or face re-export to the country of origin. When confronted with such obstructions to international markets, the incentives for international antiquities traffickers are dramatically reduced and acceptance of legal trade and cultural exchange is strengthened. Governments interested in helping bring an end to the pillage of cultural heritage around the world and launching a new era of transparent, legal markets should start by using this relatively easy tool. 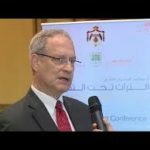 Larry Schwartz recently retired from the State Department as Deputy Assistant Secretary for Public Diplomacy, Bureau of Near Eastern Affairs, after serving over 34 years in public diplomacy assignments.